Loh Siu Yin of Beyond Broadcast summed up this year’s NAB offerings as, “Drones and maybe 4K.” Drones are big. Helicopter style drones replace cranes and piloted helicopters for collecting footage with Hollywood impact at an Indie budget. 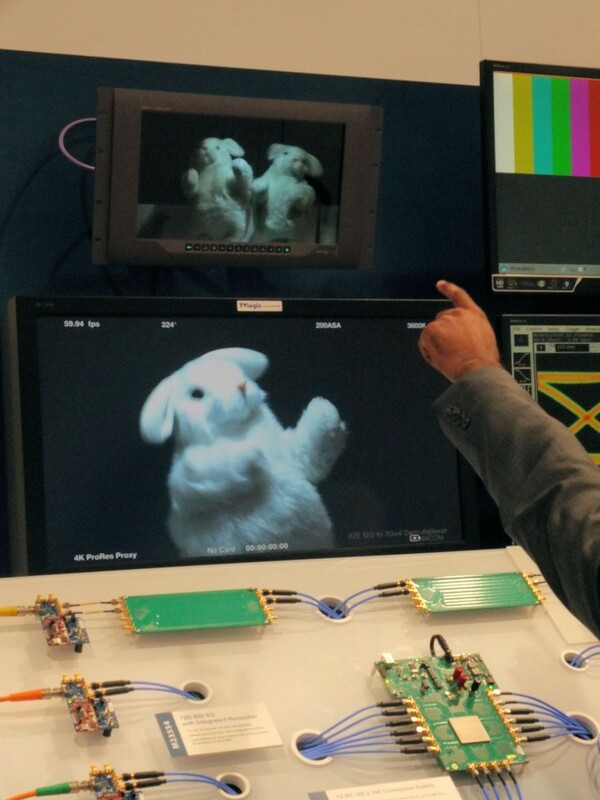 The current set of video cameras that can do 4K are a boon to the creators of cinema. Delivering a 4K product to the viewer at home opens up an entirely new set of problems, technical, legal, and economic. Drones are fun and entertaining and they don’t have to fly to collect useful images. 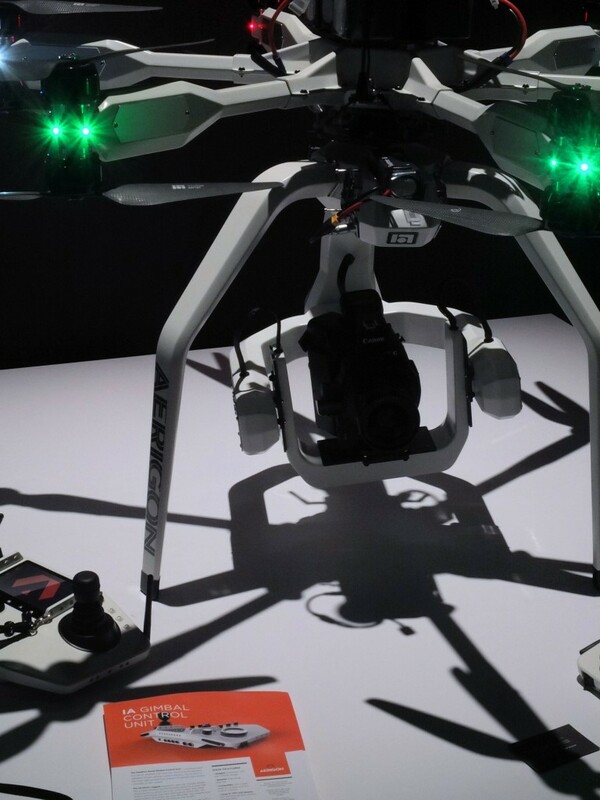 More than one major manufacturer has cameras capable of cinema quality and small enough for the payload capacity of a small helicopter drone. They might also be something that rolls around on the ground. 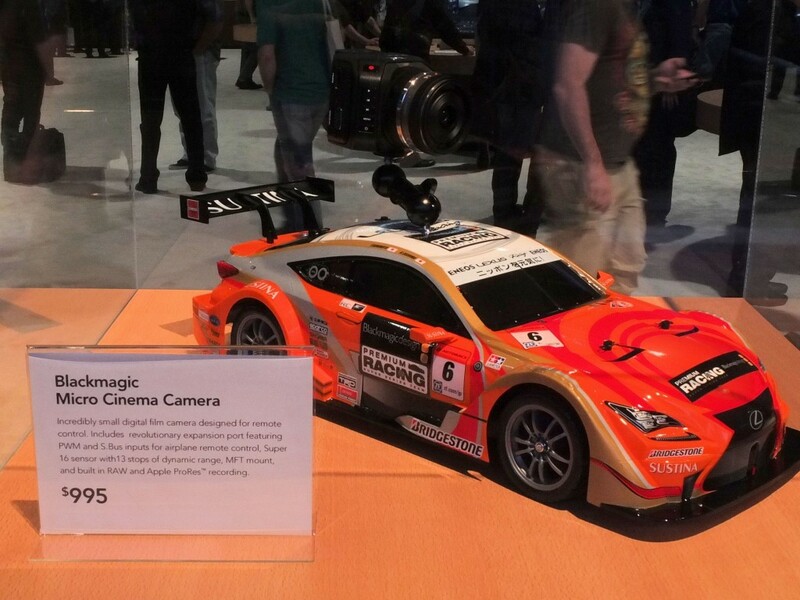 Blackmagic Design displayed one of the smallest cinema cameras atop a ground based drone. Canon displayed the C300 Mark II and had a clever, short feature film, Trick Shot, that displayed many of its capabilities. I had such a good time in the Canon Theater at this year’s NAB that I might try to speed through everyone else’s displays next year so as to spend more time there and also at Canon’s live presentations. The film Trick Shot also made use of the Canon XC10 camcorder. The XC10 is a few stops short of the amazing 15 stops of dynamic range of the C300 Mark II but it is tiny enough to handle images impossible with other cameras. It was used for the pool cue POV shots in Trick Shot. The XC10 will be available by mid-summer. 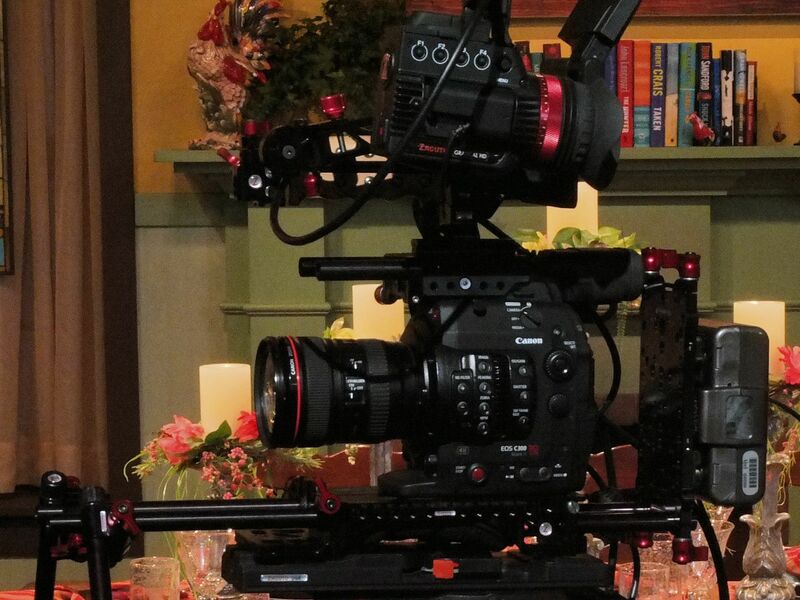 The C300 Mark II cab be expected in September. I became a big fan of Canon at this year’s NAB though I expect I’ll still be carrying a Fujifilm X10 for still photos in the foreseeable future. The films at the Canon Theater were entertaining and informative and the live presentations were the source of great insight into their creation. 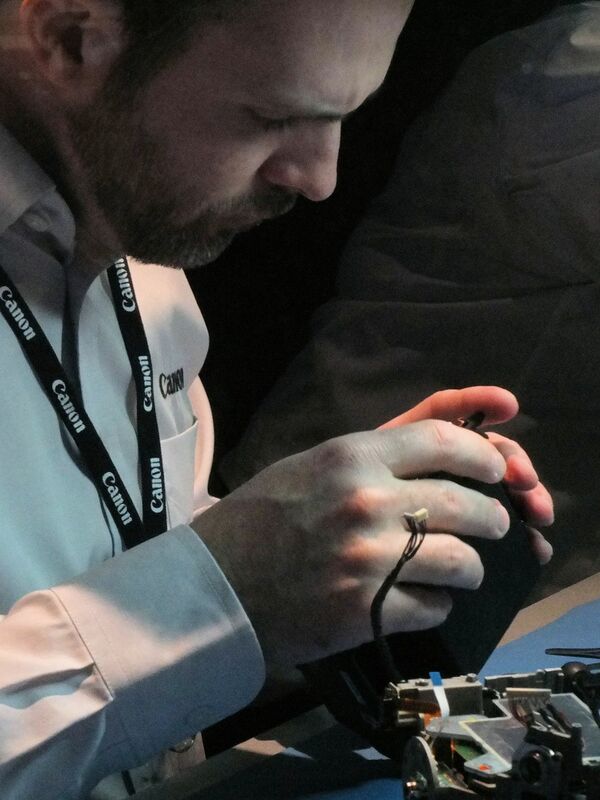 Canon Professional Services (CPS) members could bring their gear to the show for a free checkup or for needed repairs. 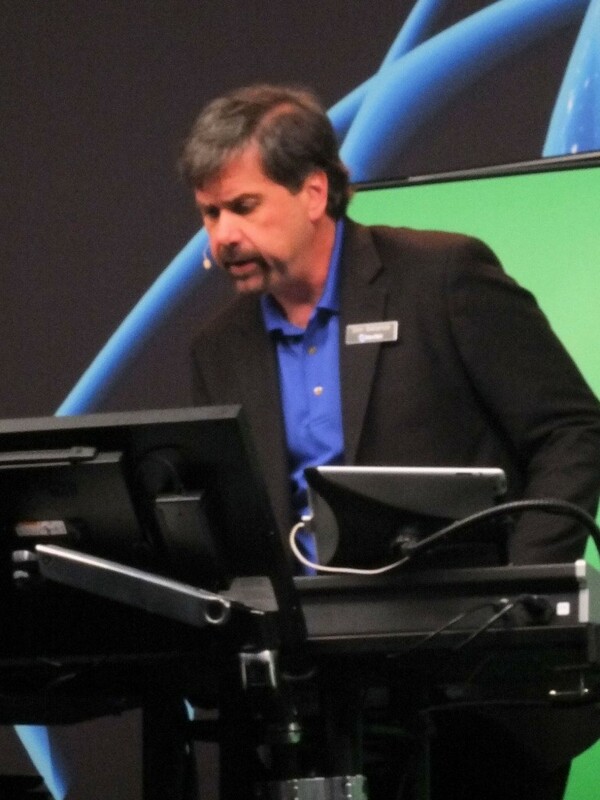 Newtek must have used a different team of writers for their product demonstrations this year. The super heroes were absent and the presenters were dressed in street clothes. The feature set of the TriCaster and its variations was still very impressive. The sets for camera demos are always entertaining. Above is what was set up for the AJA CION production camera. What if you don’t want to hire professional models for your display? M/A Com managed to get through the show with these animated fellows who did not even take a lunch break during the four days of exhibits. It’s hard to say whether we will scrap 8VSB in order to allow terrestrial broadcasters to move to the next level of definition and dynamic range for television viewing. The equipment now available on the production side certainly pushes the envelope for cinema makers. The marketplace is where the delivery system will be picked. Maybe the decision will be closer at the time of NAB 2016. No pictures for this but the NAB radio avant garde continues to be based in Halifax. The support provided by Nautel and the continuing development of their product never ceases. They have set the standard for radio transmitters. The next year will tell the tale on what they can manage with television. NAB is over for another year and the deluge of email about new products should be slowing down a bit. 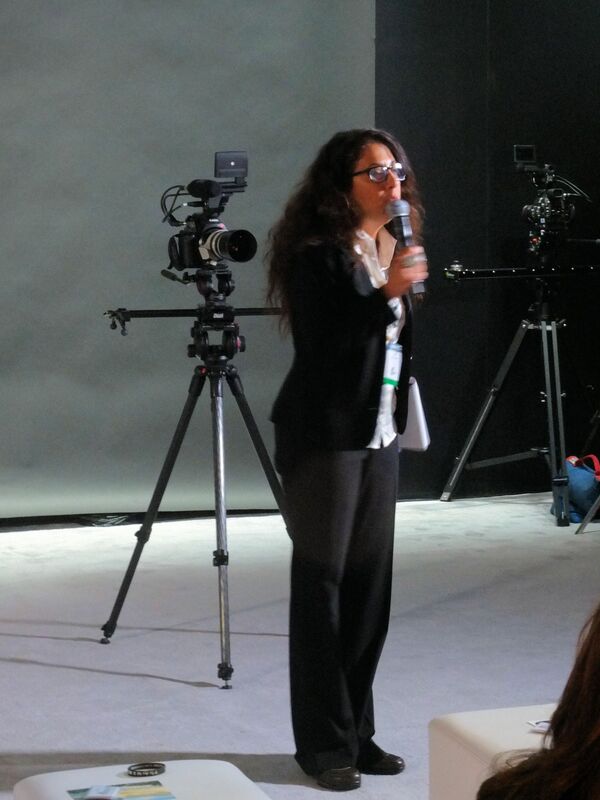 We can all go back to live as usual until it is time to start planning for NAB 2016 . . . maybe in a week or two. This entry was posted in Musings by Mark Timpany. Bookmark the permalink.